Lord, be thy word, my rule. Thank you for your interest in St. John The Evangelist Catholic Academy. If you are considering whether to send your child to St. John’s or if your child is about to join us for the first time, we welcome you. 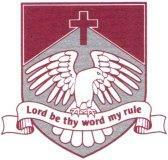 This website is intended to let you know more about the life and work of our Catholic school. With the example of Jesus Christ at its very heart, the school aims to provide a happy and caring environment for your children, where they can grow and enjoy a wide range of learning experiences, which will help them grow into independent and responsible followers of Jesus Christ, ready for the next stage of their journey. We aim to keep the needs of each individual child uppermost in all that we do and share fully with parents all stages of your children’s development whilst they are in our care. We believe that every child is a unique gift of God and each and every one is granted unique God-given talents. Whether these talents are many or few, our aim is to help your child develop them to the full.